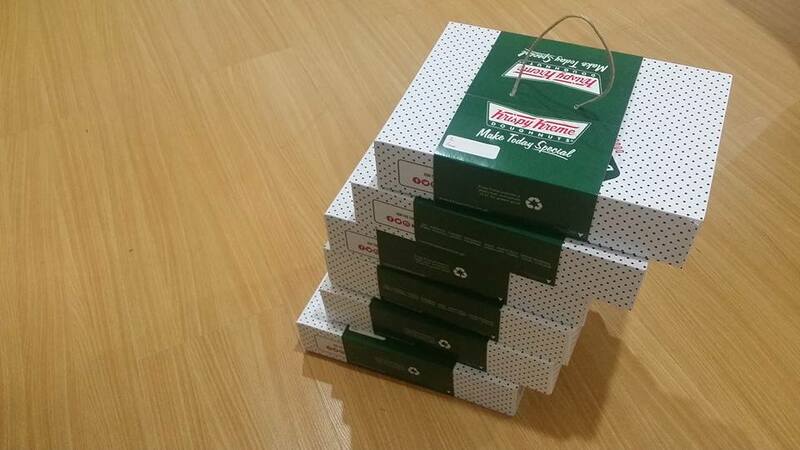 Last year, Krispy Kreme opened its doors in Baguio City! For sweet tooths like me it is a really sweet treat! We got to taste that elusive Krispy Kreme melt-in-your-mouth doughnut which we were only able to taste before whenever a relative goes down to Manila. If you are from Baguio we bet you have at least thought of having Krispy Kreme as one of the pasalubong for you by your friend from Manila who will be coming up to the City of Pines. 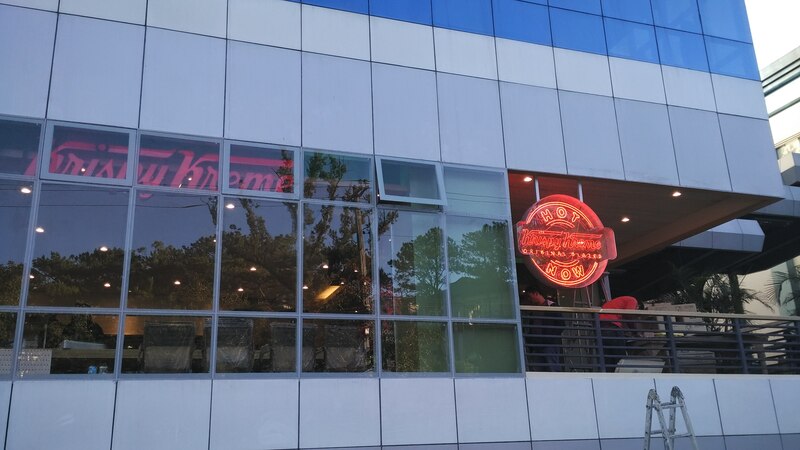 With the opening of the first store of Krispy Kreme in Baguio City, the thought of having it as a pasalubong from Manila is just a thing of the past. Today you can enjoy your favorite KK doughnut from their first factory store in Baguio, which means you will get fresh doughnuts every time. However, up until today, we have received via private message on our Facebook page, queries on where Krispy Kreme Baguio is located. We would understand why people kept on asking where Krispy Kreme Baguio is located. This is because of the fact that their address is said to be on the 2nd Cyber Building of SM Baguio. Unfortunately, such address is not familiar even with Baguio residents. Some would even confuse it with the Cyberzone of SM Baguio, I know I did! So here’s the location: Krispy Kreme Baguio is located at the SM Baguio Cyber building. This is actually the building fronting Sunshine Park and adjacent to the People Support call center. 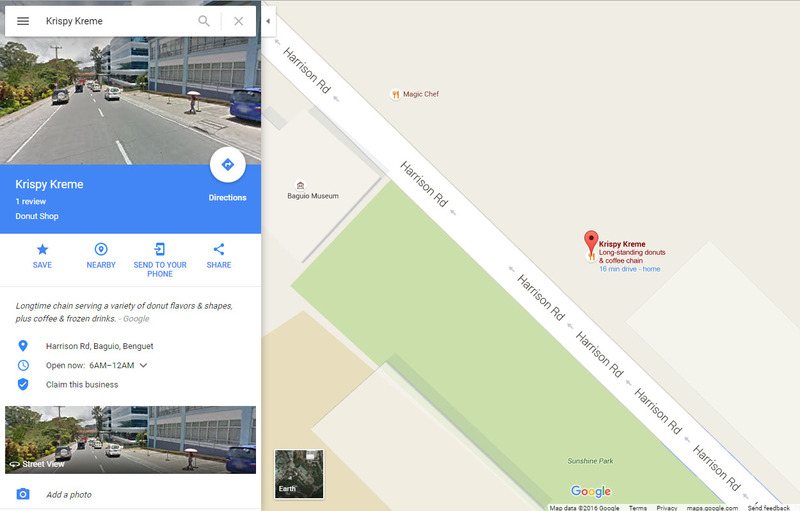 It should be easy to spot, as the KK store can be seen from the road, which is still Harrison Road by the way. There you have it, the location of Krispy Kreme Baguio. One way to access it is by riding a Trancoville jeepney that is going that route, with the multiple routes these jeepneys, are going through every day it is best to ask the driver if they will be passing the area of Sunshine park. Another possible way to access it is by riding a taxi. Or if you want to walk Krispy Kreme Baguio can be reached by that mode of “transportation” too!